Docu-drama titled Roar of the Lion, which essays the story of IPL team Chennai Super Kings, . Kabir Khan’s directorial venture has intrigued everyone and the project is creating buzz on the social cloud. It is based on IPL match-fixing, in which CSK were accused. The captain of the team, Mahendra Singh Dhoni came out in the open and talked about the rumours of corruption. The captain came out of the scandal victoriously. Pankaj Tripathi Replaces Nawazuddin Siddiqui as Ranveer Singh's Coach in Kabir Khan's '83. The docu-drama talks about Dhoni and how he came out in the open about what he experienced when his team was involved in the match-fixing. 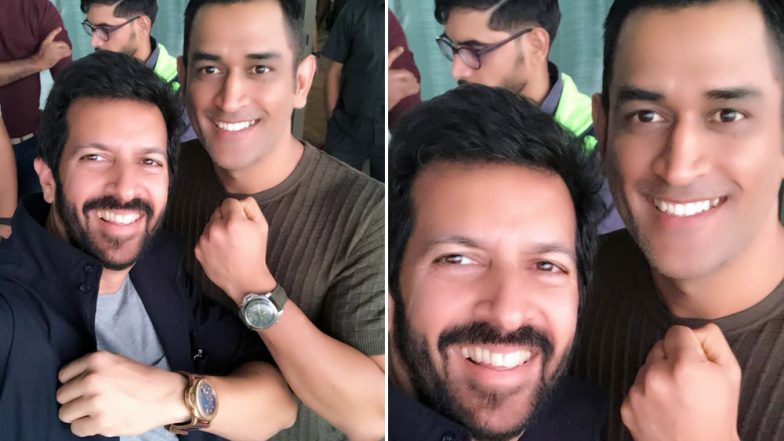 The filmmaker told IANS, "We have never seen Dhoni (Mahendra Singh Dhoni) opening up and talking about what he went through when the team got involved in the match-fixing allegations and was banned for two years." "During that time, Dhoni was completely silent. Nobody knows how he dealt with the whole situation internally. I think that conversation makes the show different, makes it unique," he mentioned, adding that corruption exists in every field. Kabir said, "I think there is corruption in every profession... a grey area exists in every field, be it cricket, corporate, cinema…it is ultimately dependent on how an individual holds himself or herself." Kabir also portrayed how Chennai Super Kings were mocked and called ‘Chennai Senior Kings’, ‘buddhe ki fauj’ as a majority of the players were above the age of 30. The filmmaker also revealed that the CSK’s overwhelming victory in the 2018 IPL, that shut the mouths of haters, inspired him. Ranveer Singh's '83 Will Go on Floors on THIS Date. The filmmaker has always been fascinated with directing a cricket oriented film. Kabir is currently directing a movie based on the 1983 World Cup win. The movie stars Ranveer Singh as Kapil Dev, who brought victory to the country when the situations were difficult during the match. The film titled ’83 also stars Saqib Saleem, Hardy Sandhu, Aamy Virk, Pankaj Tripathi, Vijay Verma, Jiiva, Tahir Raj Bhasin and others in the role of the team which was under Kapil Dev’s captaincy.